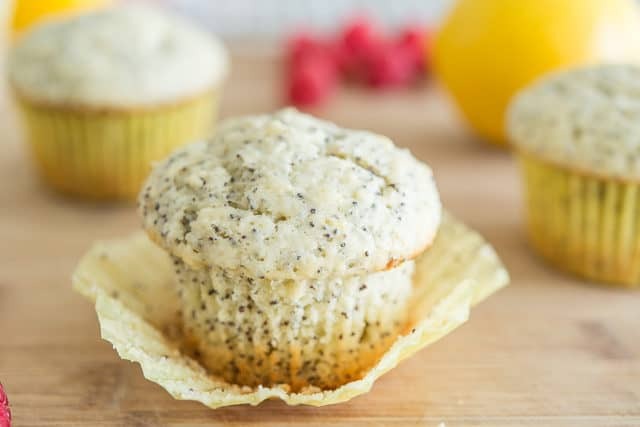 Lemon Poppy Seed Muffins - Easy Recipe for Moist Muffins! 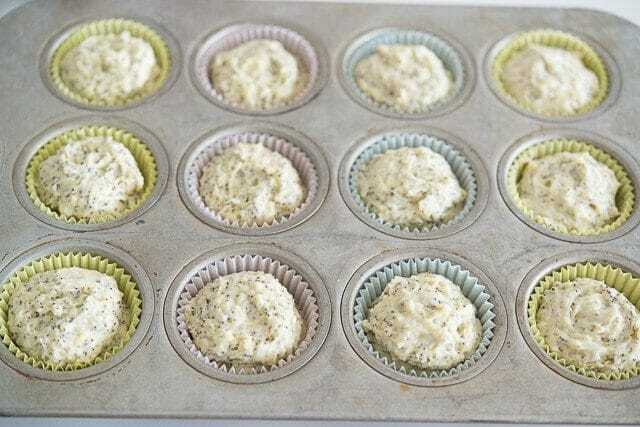 These Lemon Poppy Seed Muffins have a soft, tender crumb thanks to sour cream in the batter, and they are easy to mix together using standard baking ingredients. They are delicious on their own and are perfect for a special breakfast, brunch, or afternoon treat. If I had to pick my favorite muffin ever, it would be a tie between blueberry muffins and lemon poppy seed. I’ve always thought poppy seeds were such a fun ingredient in baking. They add this natural but colorful confetti sprinkle look to muffins and cakes, and they provide a subtle little crunch in every bite. Poppy seed muffins always look so festive and happy, don’t they? 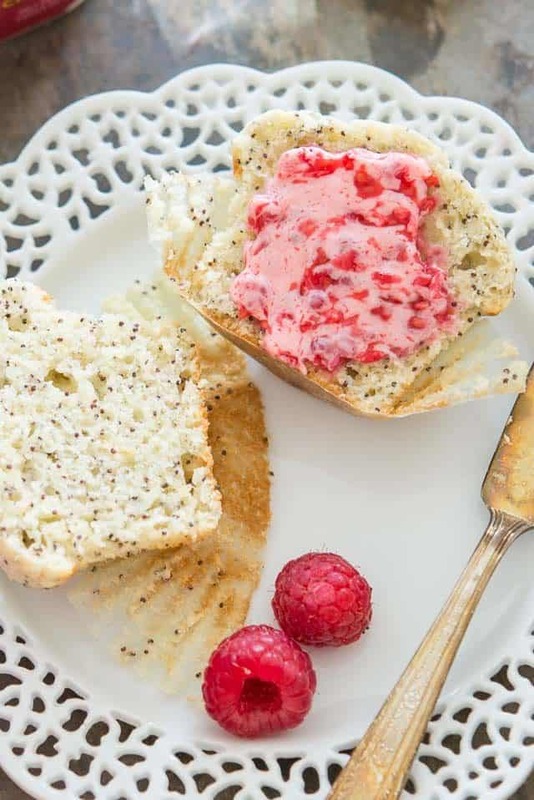 And I’m going to show you how to make these poppy seed muffins extra special with a simple 3-ingredient raspberry butter. Because baked goods tend to be on the indulgent side, I have pretty high standards for the baked goods I eat. If a muffin is dry and flavorless, I won’t eat it. I know too well how deliciously moist muffins should be, even keeping in mind that they shouldn’t cross into cupcake territory. This muffin has the right density and crumb to it, a little crunch from the poppy seeds, a fragrant hint of lemon, and a tangy richness from the sour cream. 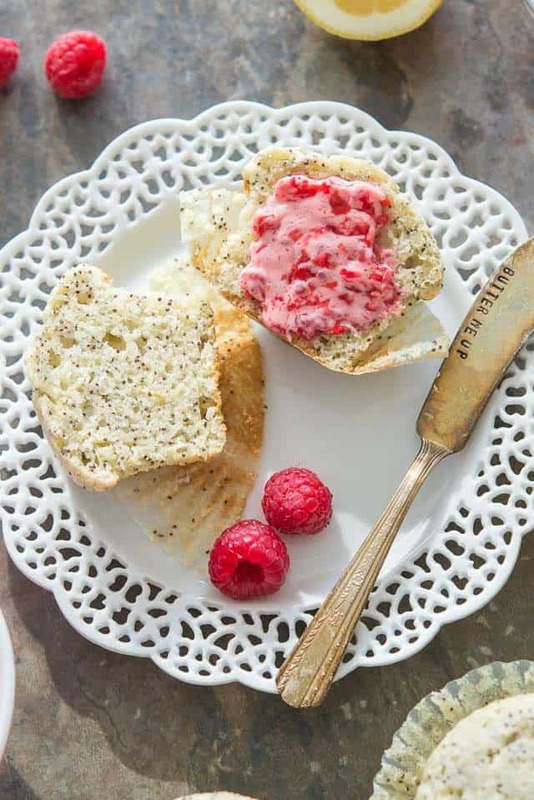 Then I made this wonderful fresh raspberry butter to be spread on the muffins as you eat, making this a perfect recipe to serve for a special breakfast or brunch! But, if you don’t feel like making the butter, know that the muffins don’t need them. They have enough flavor on their own. 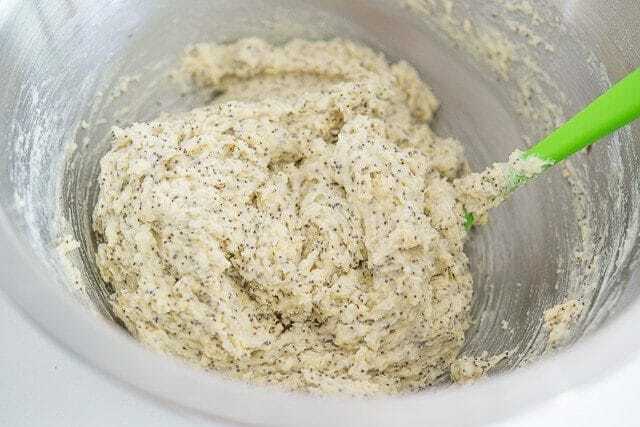 Before using poppy seeds for this recipe, make sure they are fresh by smelling the container and confirming that they aren’t rancid. Poppy seeds have a ton of oil in them, so they go rancid very easily. 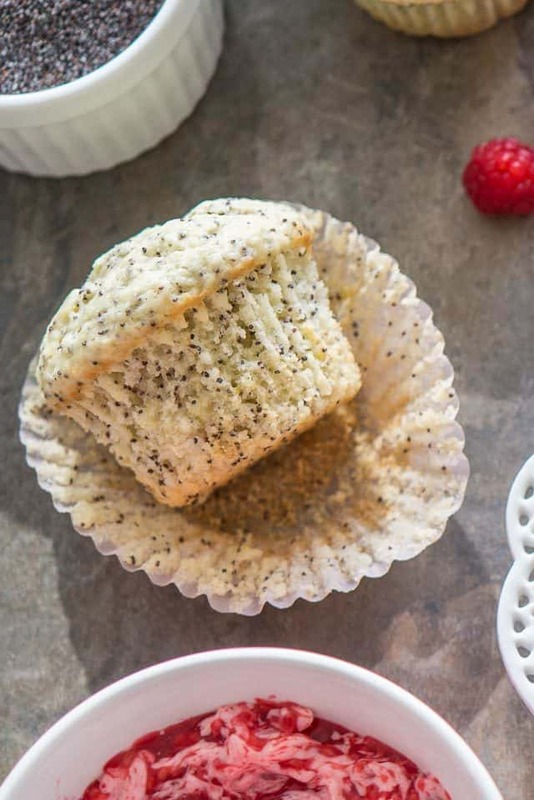 I’ve had many times where I go to use some poppy seeds and they’ve already spoiled, and you certainly don’t want those ruining your muffins. You want to store poppy seeds in the freezer for this reason. 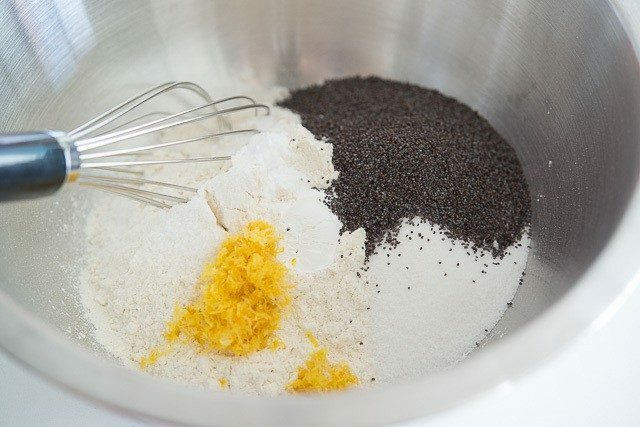 Start by combining the dry ingredients together with a whisk: flour, sugar, poppy seeds, lemon zest, baking powder, baking soda and salt. For your wet ingredients, whisk to combine melted butter and an egg, until thick and frothy. Add sour cream, milk, lemon juice and vanilla extract. Add the wet ingredients to the dry and mix until you get a thick batter. Bake for about 22 minutes until a toothpick inserted into the center comes out clean, then let cool completely. While the muffins cool, make the raspberry butter. 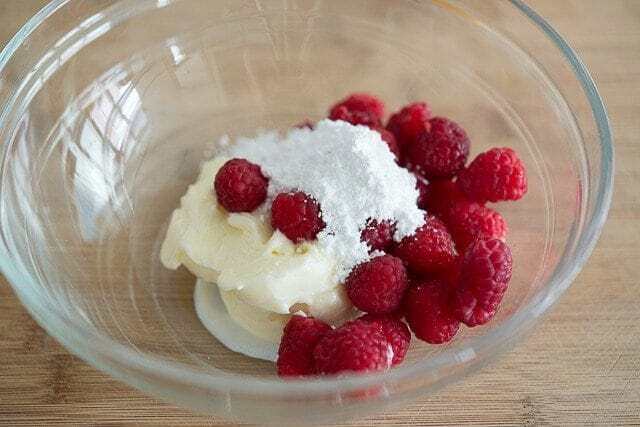 In a bowl, combine softened salted butter, fresh raspberries, and powdered sugar. Mash and stir together with a spoon. Spread the raspberry butter onto the muffins as desired. Also try my Blueberry Muffins, Chocolate Muffins, and Pumpkin Spice Muffins. Enjoy! Can you freeze muffins? Yes, they freeze beautifully! Let them cool completely, then store in an airtight container or bag for 2 months. How long do muffins stay fresh? At room temperature, a few days. In the freezer, a couple months. How to store muffins: If you’re going to eat them within a couple days, it’s fine to leave them at room temperature. Longer than that, and you should freeze them. Can muffins be reheated? Yes, but be careful with whatever method you use because they can dry out easily. I actually find the microwave to be the best because it keeps them moister. The oven can dry out the edges. 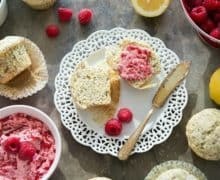 Lemon poppy seed muffins that are moist and tender inside, spread with a fresh raspberry spreadable butter. Great for breakfast or brunch! Preheat the oven to 350° F. Either line a muffin tin with paper liners or butter the bottoms and sides generously. 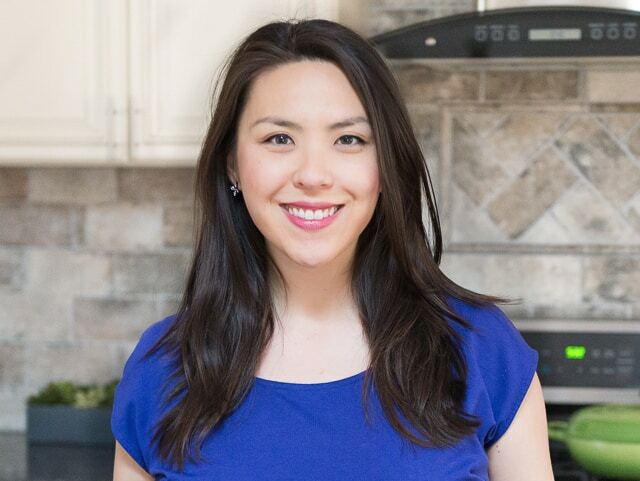 In a large bowl, whisk to combine the flour, sugar, poppy seeds, lemon zest, baking powder, baking soda, and salt. 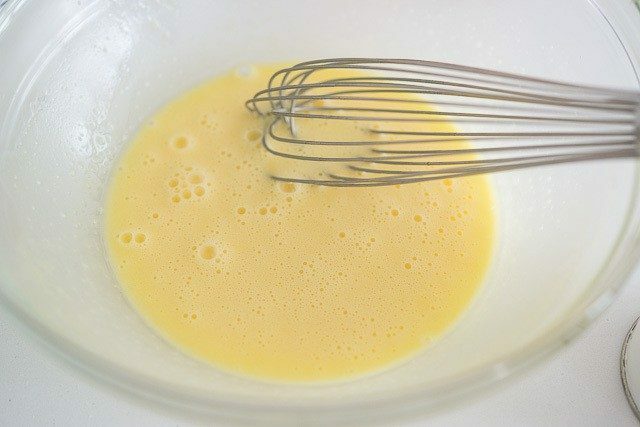 In a medium bowl, combine the melted butter and egg, and whisk vigorously for 60 seconds until aerated and thick. 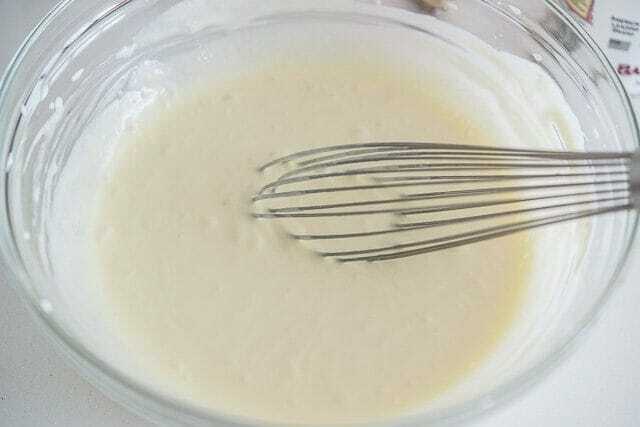 Whisk in the sour cream, milk, lemon juice and vanilla until combined. Pour the wet ingredients into the dry, then stir gently with a spatula to combine the wet and dry ingredients, taking care not to overmix. The batter will be thick. Evenly divide the muffin batter into the wells. The easiest way I find is to use cookie scoops. You’ll get the perfect amount of batter for 1 large scoop in each plus 1 medium scoop. Bake the muffins for 22-25 minutes, until a toothpick inserted into the center of the muffins comes out clean. Keep in mind the muffins will not take on a lot of color on top, only a little golden brown on the sides. When the muffins are done, let them cool in the pan for 5 minutes, then remove the muffins and let cool completely on a wire rack. 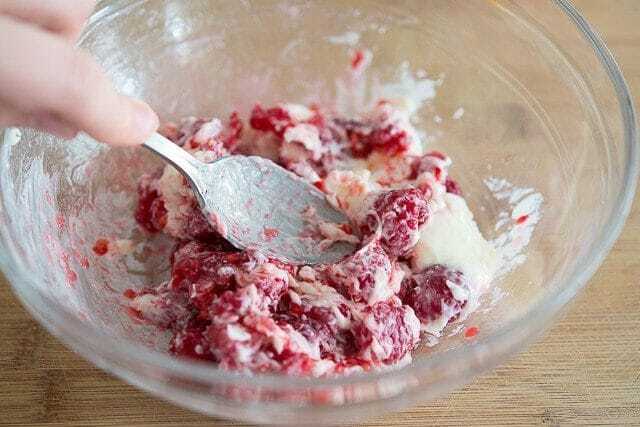 In the meantime, make the raspberry butter by placing all the ingredients in a bowl and mashing together with a spoon. I like it when the butter is fully combined but there are still small chunks of fresh raspberries. 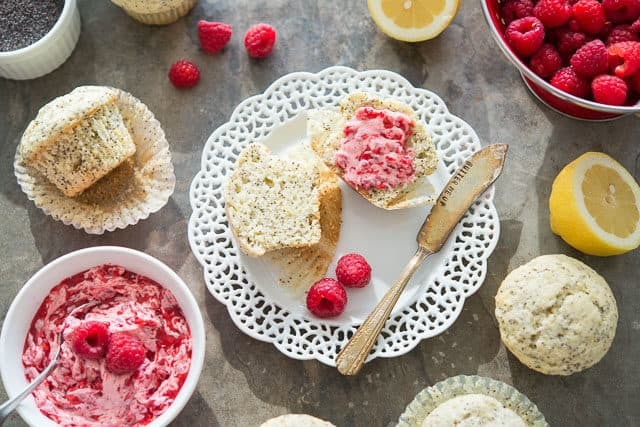 To serve, spread the muffins with the raspberry butter as you eat. Enjoy! These were so moist and the butter is lovely!